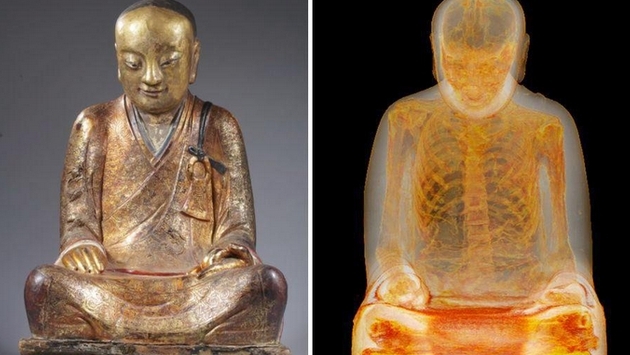 A Chinese Buddha statue previously on display at the Netherlands’ Drents Museum turned out to be more of a sarcophagus, as a mummified body was recently discovered inside. The mummy, which will soon feature at the National Museum of Natural History in Budapest, Hungary, contained a few more secrets. As noted in the video, CNET describes a rather gruesome end for Liuquan who is believed to have died sometime in 1100 A.D. Initial thinking of the Mongolian discovery was that it was the 200-year-old deceased body of Tibetan Buddhist teacher Dashi-Dorzho Itigilov. As for Liuquan, the statue will once again be displayed, moving from the Netherlands to Hungary where it will draw the interest of captivated travelers until May of this year. Unfortunately, there is no mention of where it might display after that.